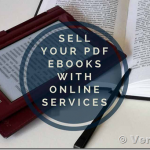 VeryPDF operates an opt-out policy for the use of information. Where information is provided to us in the furtherance of a business contract (you download for evaluation or purchase products from us) we have the right to contact you in furtherance of that contract. Where you have purchased a support contract from us you acknowledge that we will contact you in the furtherance of that contract providing any information that we deem relevant in the furtherance of that contract. 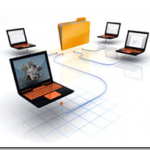 VeryPDF does not share any customer information with any other organization except as required by law. VeryPDF reserves the right to make use of any information sent to it without solicitation for any purpose, always providing that the source of that information is properly acknowledged. Information received without solicitation by VeryPDF becomes the property of VeryPDF, and any intellectual property becomes the property of VeryPDF and the disclosure to VeryPDF automatically grants VeryPDF free use of that information. As part of their security functionality, VeryPDF Viewers may, for and on behalf of a publisher issuing controlled documents for licensed use, collect your license identifier, the mac and IP address of the device using the document, and whether the document has been viewed/printed if required explicitly by the publisher, and make that information available solely to the relevant publisher. VeryPDF do not process information collected on their own account, nor do they make those data available to third parties for processing. Publishers may have separate policies for subsequent processing and users should satisfy themselves about processing at the time of acquiring the documents.